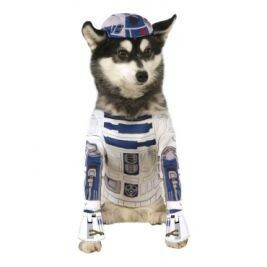 Now your four legged friend can complete the Star Wars story and become this cute little R2-D2! Includes shirt with attached paw covers, and hat. This is an officially licensed Star Wars product.